Are you responsible for your school's practice or playing field? 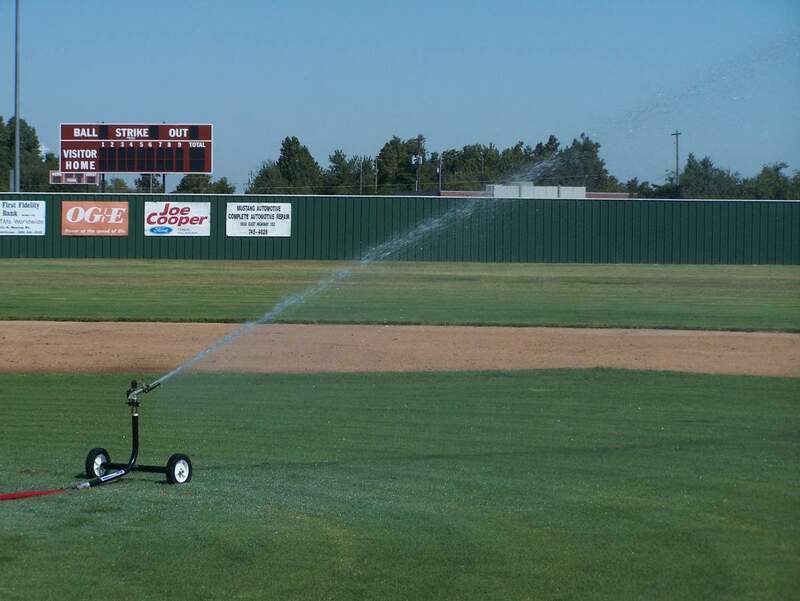 Need a a quality, affordable sports field irrigation system? BigSprinkler.com is your premier source for sprinkler systems to get the job done. Football field sprinklers or any sports irrigation system should begin with quality equipment. And, that's what we offer - in a variety of solutions. For your hose management needs you can choose from a selection of hose reels. For lay-flat hose consider our newest design - the ALL NEW Lay-Flat Hose QuickReel and QuickReel with trailer option. This reel design was brought to the market as a solution for our customers with multiple rolls of lay-flat irrigation hose. This “one of a kind” reel makes deployment and retrieval of up to 400’ of 1.5” or 2” lay-flat irrigation hose a very quick and simple process. No more back aches bent over rolling up hose by hand or un-tangling hose when setting up your irrigation system. 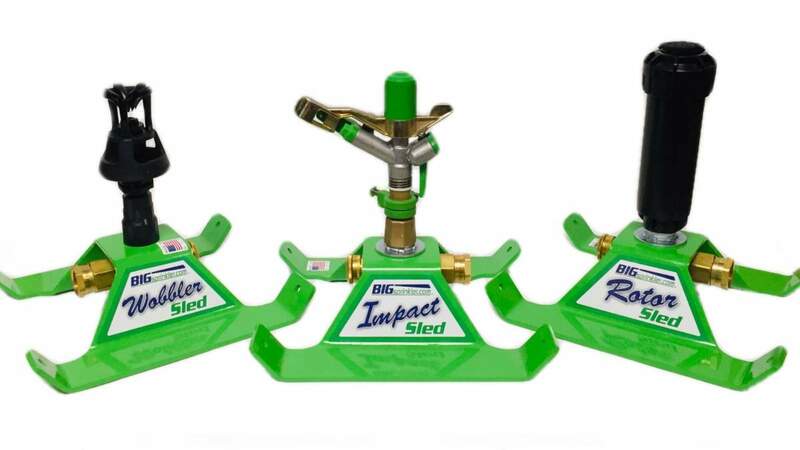 If you use 1” hose then look at our active hose reel and trailer packages which are designed for grounds maintenance applications requiring up to 1" I.D. x 100 feet of hose. Irrigation options include the 1000F or 1250K Wheeled Sprinkler Carts or the ReelGreen Model RG25 Traveling Sprinkler. Our heavy duty large volume sprinkler wheeled sprinkler carts are an excellent and affordable option. It gives you maximum flexibility and big performance when compared to most store bought sprinklers. All of our irrigation options can be fitted with appropriate adaptors to work with existing quick valve or traditional hose connections. The RG25 Traveling Irrigation Sprinkler is a great hands free option for smaller areas. The RG25 is completely water powered using a field proven and efficient turbine drive system which utilizes the flow and pressure from your irrigation hose to retract the reel hose at the speed you choose.